An invaluable reference for anyone working towards professional qualifications in food and beverage service, including foundation degrees or undergraduate programmes in restaurant, hotel, leisure or event management, this new edition has been thoroughly updated to include a greater focus on the international nature of the hospitality industry. 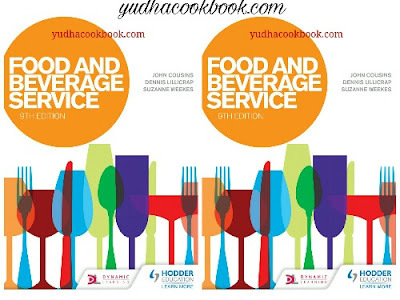 In addition to offering broad and in-depth coverage of concepts, it explores how modern trends and technological developments such as online booking systems have impacted on food and beverage service globally. John Cousins is a consultant and international authority on food and beverage operations and hospitality management and is the Director of The Food and Beverage Training Company. Dennis Lillicrap is a consultant and trainer in food and beverage service. He was formerly Senior Lecturer in Food and Beverage Service at Thames Valley University. Suzanne Weekes is Senior Lecturer in Hospitality Management and Licensing Law at the London School of Hospitality and Tourism, University of West London.